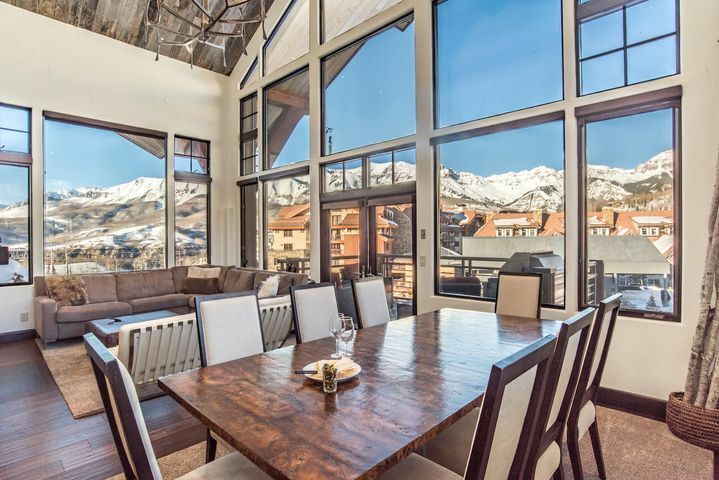 One of very few corner penthouses with double-loaded views of the Wilson Range and Ski Resort in the Mountain Village’s most sought after location at See Forever Village. 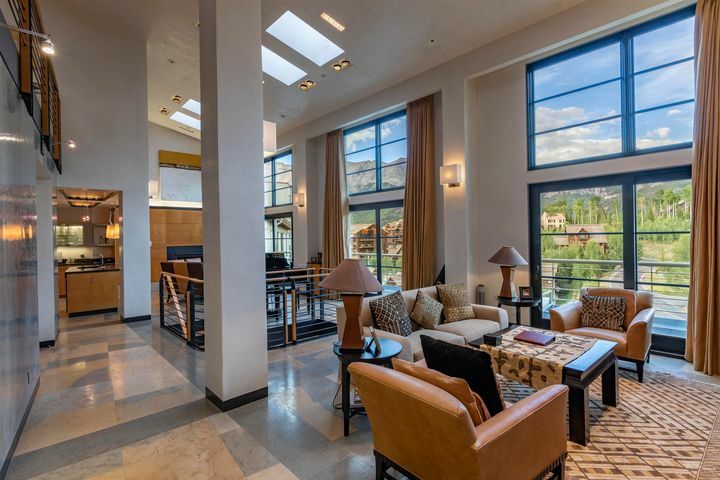 This spectacular residence is showcased by floor to ceiling window openings, vaulted ceilings, four fireplaces with steel and stone surrounds, two master bedroom suites, Subzero / Wolf appliances, antique Chestnut hardwood flooring, Alder base and case and much more. 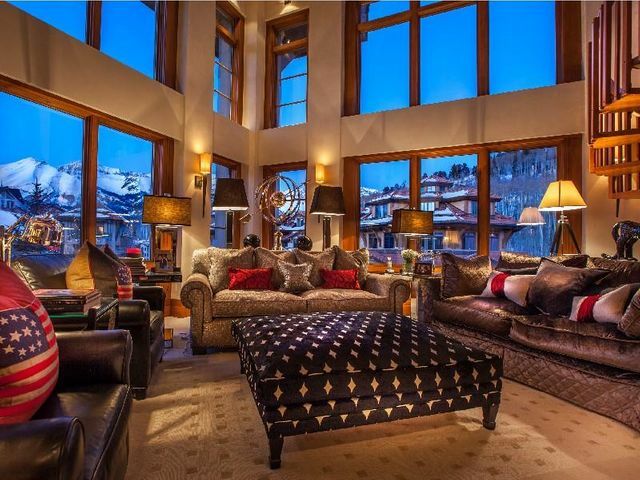 The master and two other guest suites are located on the main level adjoining a very spacious great room and living, kitchen and dining areas. 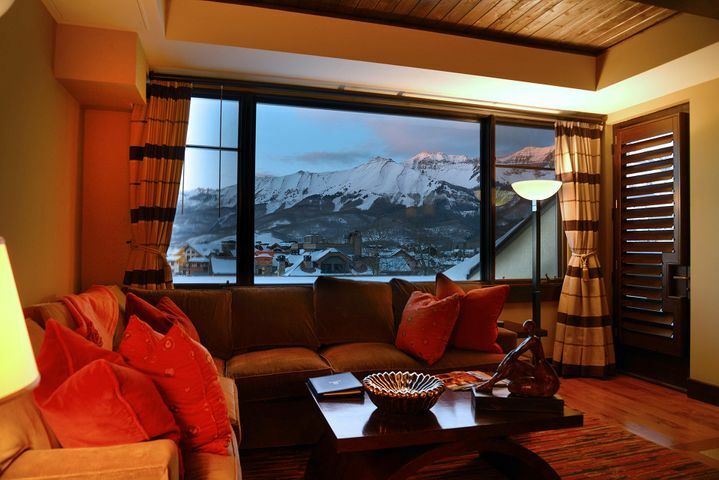 If managed by the Peaks Resort and Spa, all amenities and services are available to its owner and guests. 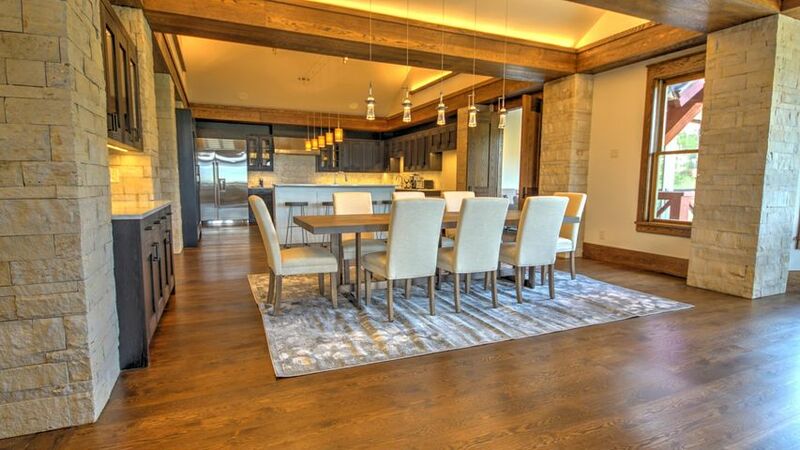 Finishes are exquisite including copper sinks, Rocky Mountain hardware, granites, travertines and more. 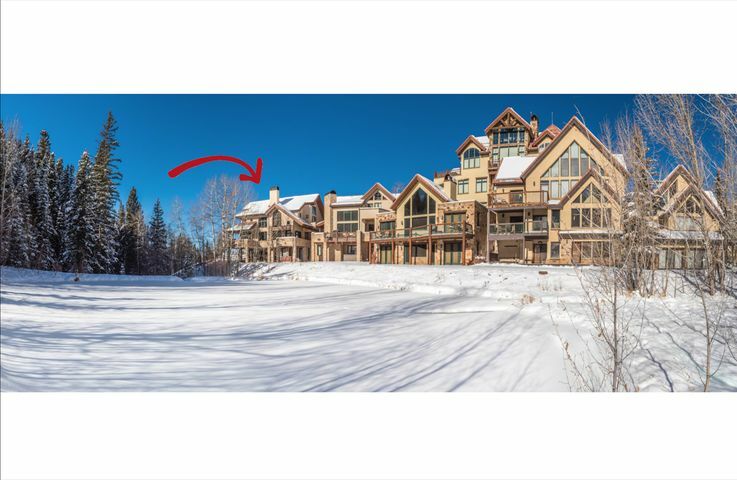 This stunning end unit is the largest, widest & finest condo residence within the low density & highly sought-after enclave of Courcheval. 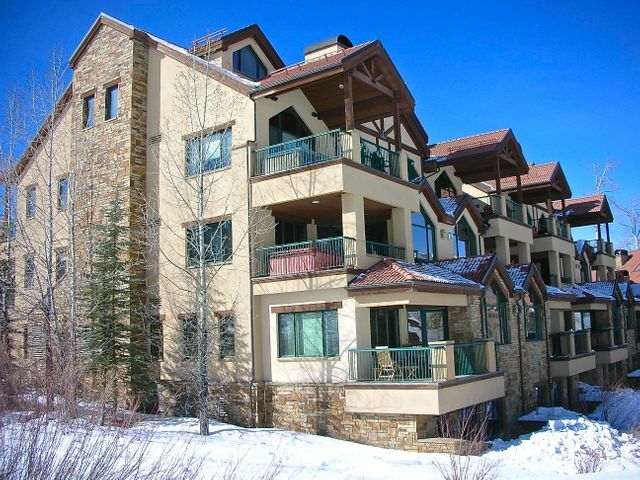 Direct ski-in/ ski-out luxury residence is literally steps from shops, the Gondola, spas and restaurants. 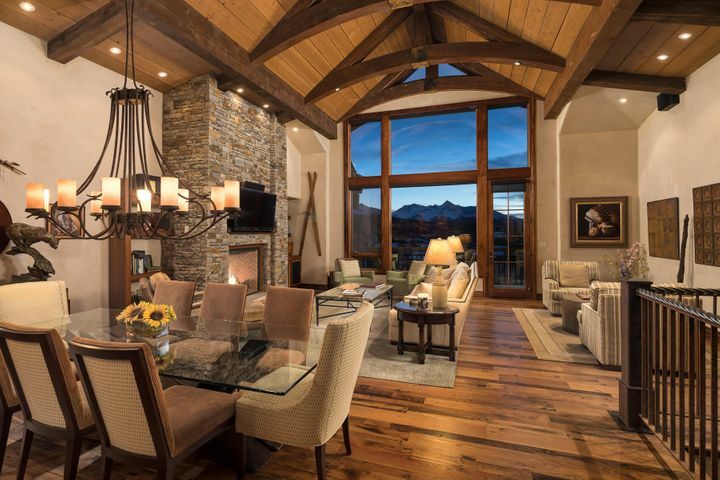 Vaulted ceilings, multiple guest suites & living areas, custom kitchen and several West-facing decks offer dramatic views of surrounding peaks, ski runs, Telluride Golf Club and spectacular sunsets. 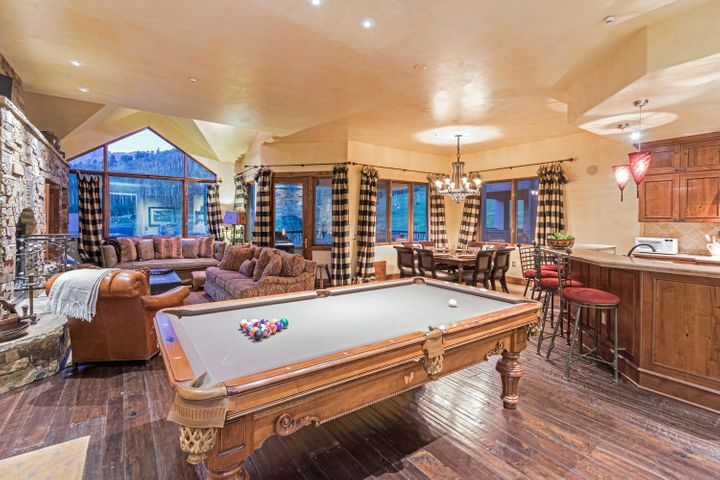 Ownership includes transferable premium usage agreement with Auberge Resorts Hotel Madeline directly across the street from unit, providing owner/ guest access to pool, hot tub & fitness center. 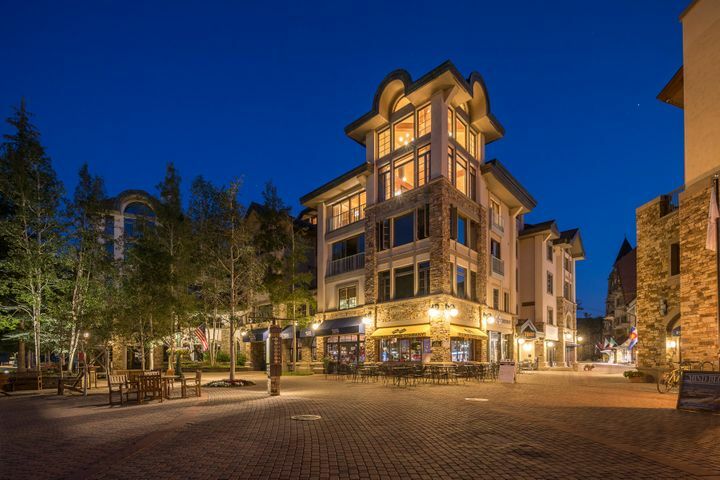 Steps from the snow and Gondola, the iconic Plaza Penthouse occupies Mountain Village's signature location, overlooking both the ski area & dynamic energy of Heritage Plaza. 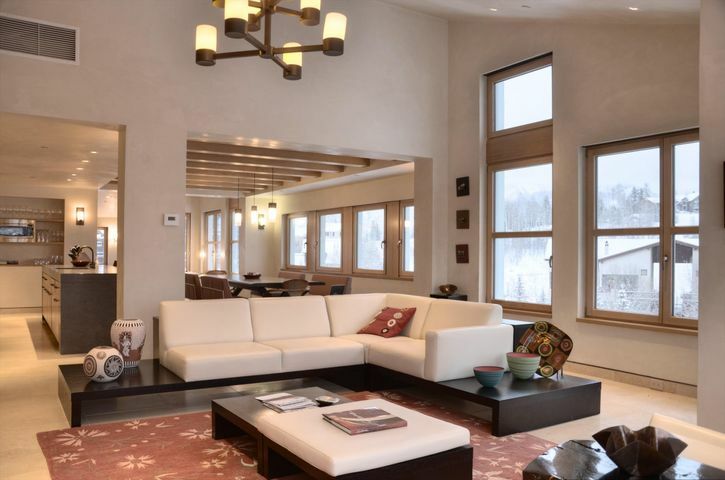 Accessed by a private elevator, this beautifully updated four-bedroom penthouse residence offers warm and elegant interiors perfectly configured for couples, family or entertaining. 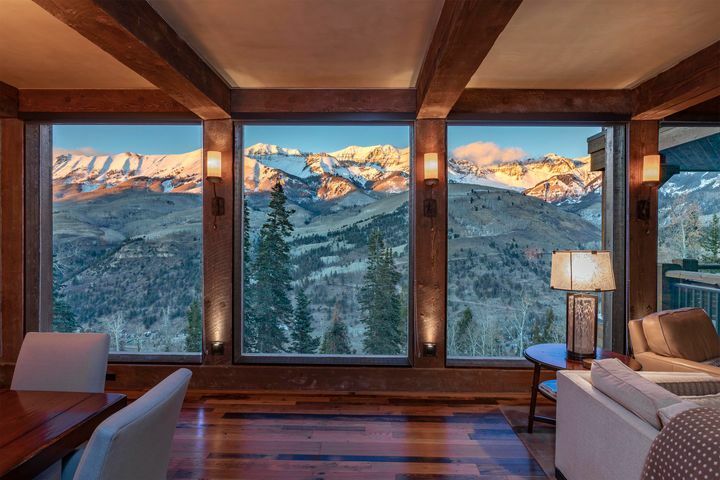 Towering windows showcase views of the surrounding mountain peaks, while open and covered decks allow one to drink in the surrounding beauty. Generous sitting & dining areas open to a gourmet kitchen, while each bedroom suite, offers both privacy and their own distinctive flair. 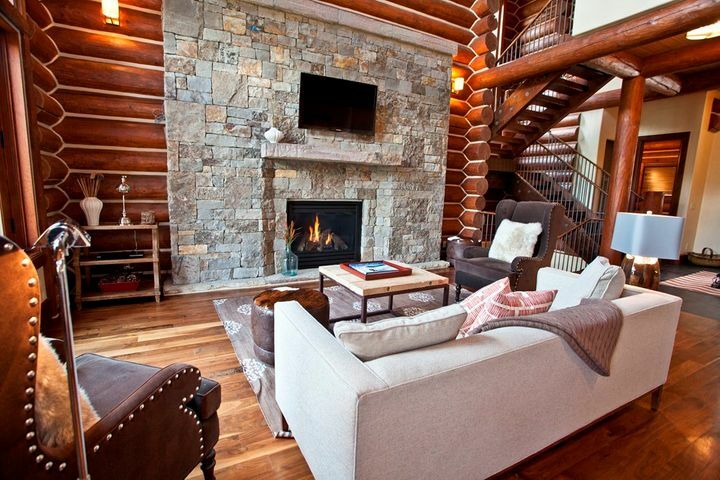 A spiral stair leads to a rooftop hot tub overlooking acres of ski runs & the Southern sky. 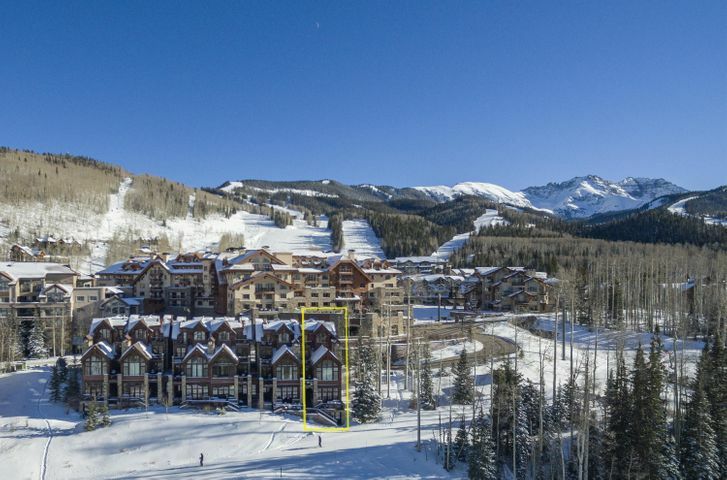 Private ski storage & deeded parking space complete the perfect picture. 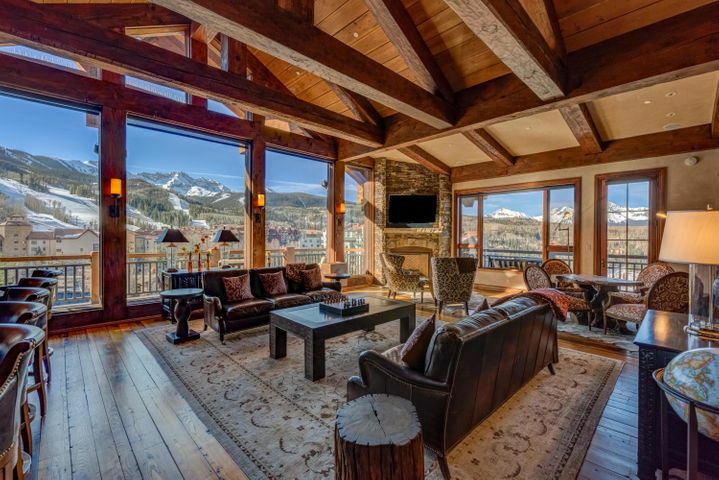 Dakota Place #1 provides the premier location for ski in / ski out access to the Telluride Ski Resort. 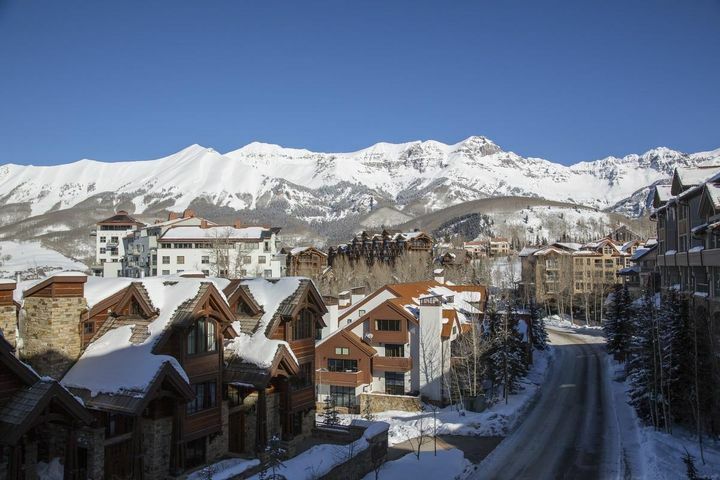 The Mountain Village restaurants and shops are steps away, and the gondola provides prompt transport to downtown Telluride. 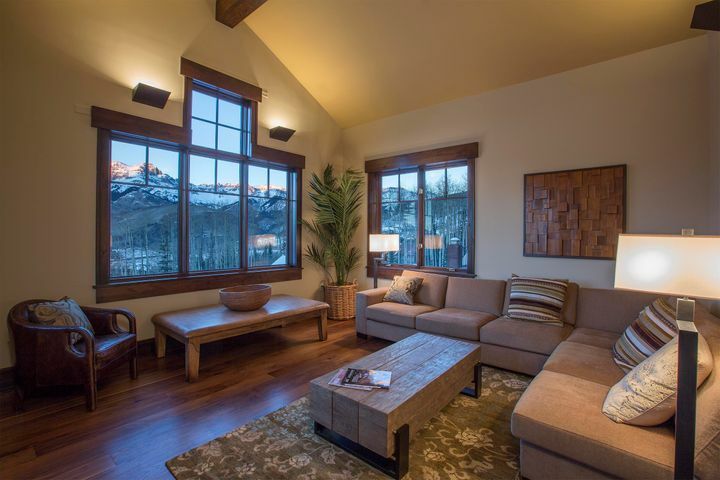 This corner, end location enjoys unobstructed views and natural light...and the alpenglow sunsets from the terrace are the best. 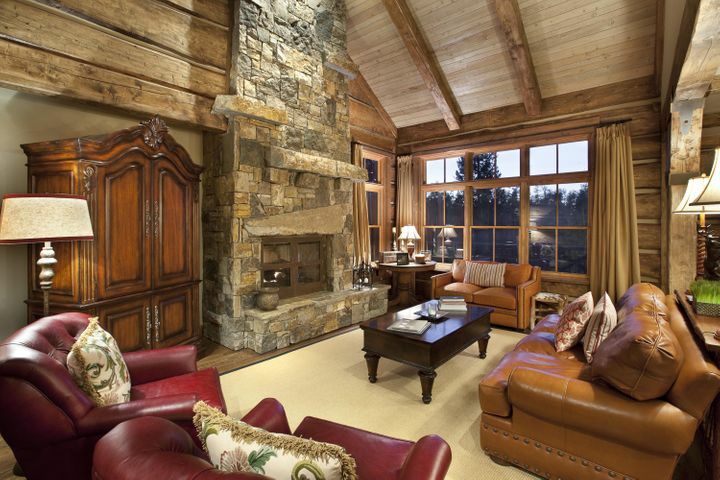 An elevator to the heated parking garage provides easy movement for family, luggage, and groceries. One deeded parking space is included. 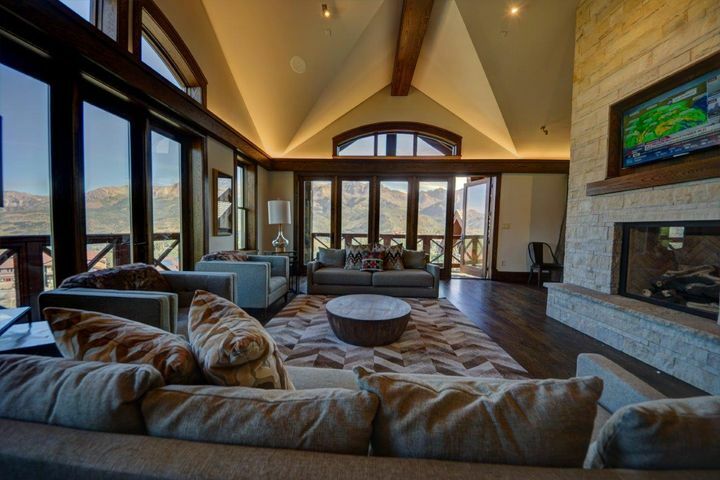 High end custom cabinetry, stone floors, and plaster walls though out the residence. 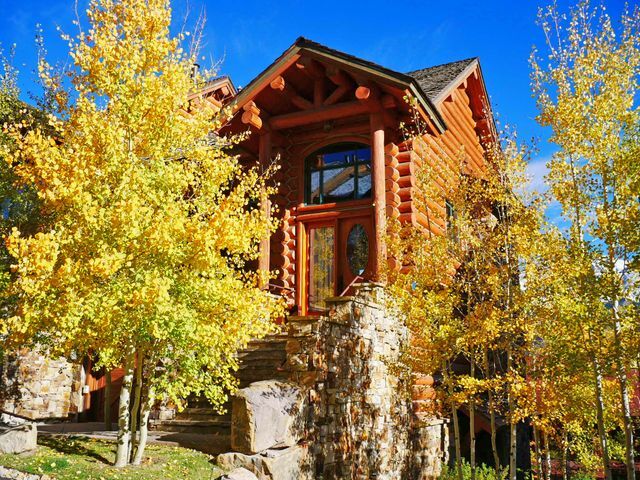 Private, yet convenient to the MV core and downtown Telluride, this is the ultimate year round property to enjoy! 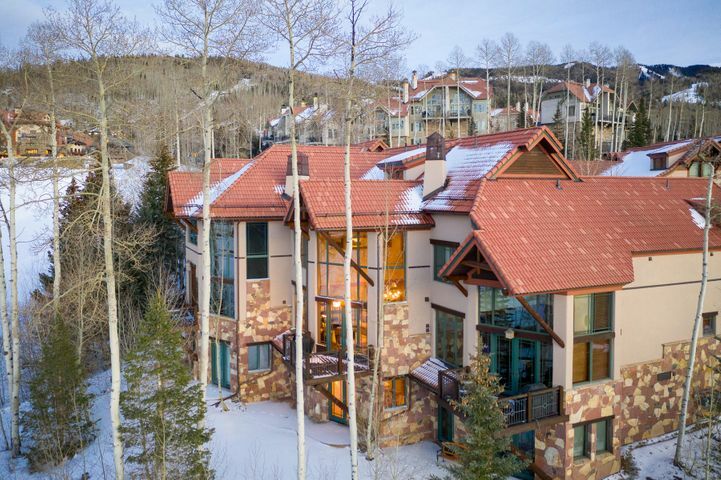 Pine Meadows Townhome #126 is a fabulous, directly trailside residence featuring 4 bedrooms, 4.5 baths, plus a top floor loft/flex space which can sleep more kids and/or provide a 2nd living area. 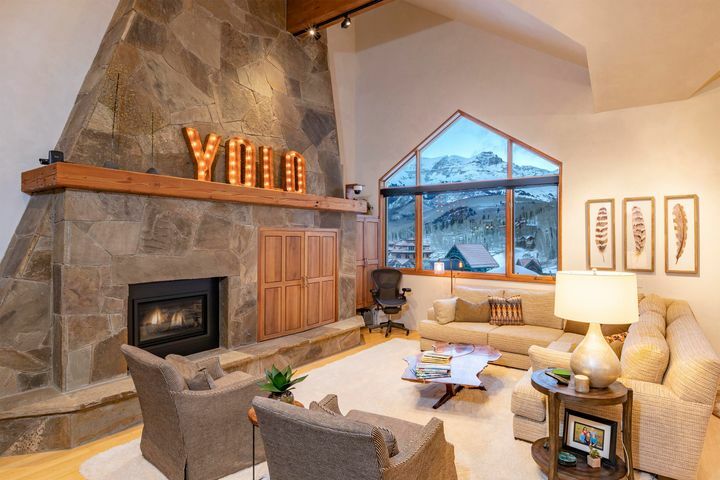 The expansive views are phenomenal & the ski access to the Meadows is effortless. 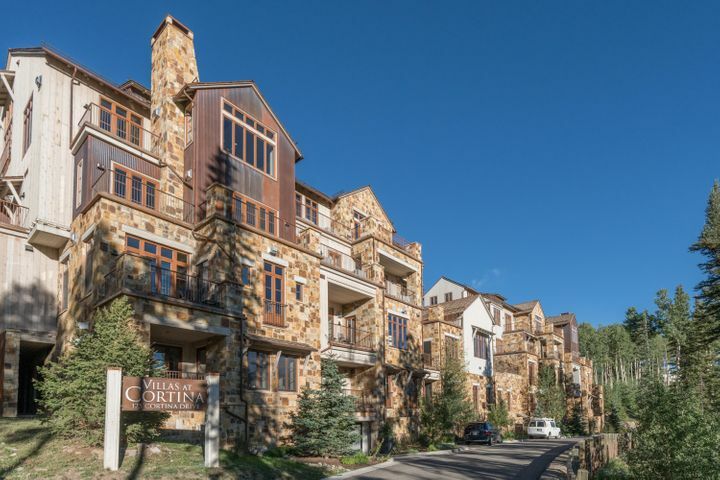 This townhome was remodeled to provide for a superb master suite & bath with walk-in closet, unlike many of the others in the complex. 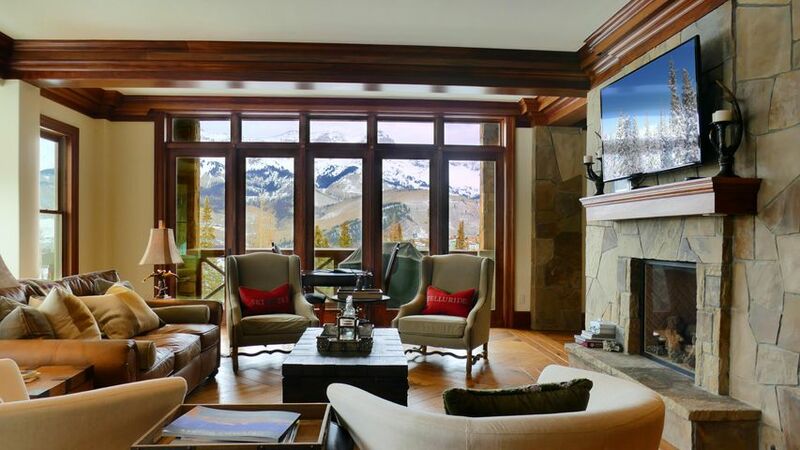 Additional improvements include new cherry flooring on the main living level, a more contemporary fireplace design, and a complete new furniture package. 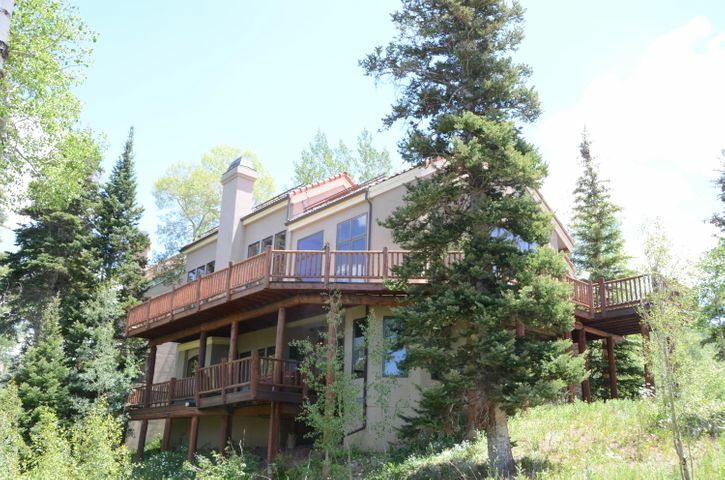 Now an even better value at only $654/sf for a property that truly lives like a home with easy walking access to the Mtn. Village Core via the walkway up to Aspen Ridge. 1-car heated garage also included.